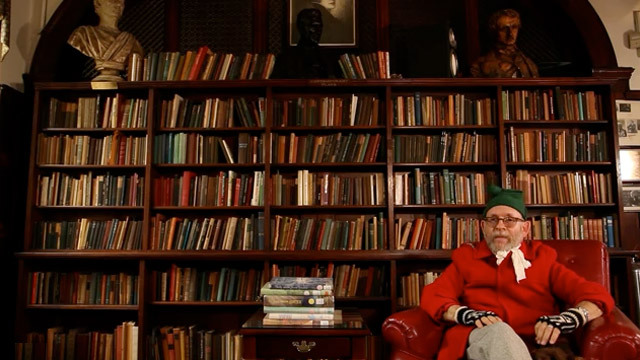 Complementing Wes Anderson's Moonrise Kingdom is this collection of super brief animated short stories based on the main character's library books. If you don’t like to read, then you should turn this off and don’t bother watching it—is the warning we get as the short begins. This collection of animated book shorts is the latest companion piece to the film Moonrise Kingdom by Wes Anderson. Actor Bob Balaban (librarian) introduces us to a series of six animated scenes from library books, possessed by the film’s main character, Suzy. Six different animation styles for six different library books completed in just six weeks. While this collection is not a stand alone short like Anderson’s previous companion short, Hotel Chevalier for The Darjeeling Limited, it’s worth experiencing because Anderson is one of the few filmmakers who considers the world outside his feature films. He considers every detail and supplemental materials are treated no differently. Every frame is a painting. Every prop is specifically placed. Every costume is a visual cue into the life of the character. All of the stories have child-like drawings that inspire nostalga for youth and the artistic movements of the late 1960’s. If you are planning to see Moonrise Kingdom, this “short” is a must watch for you.